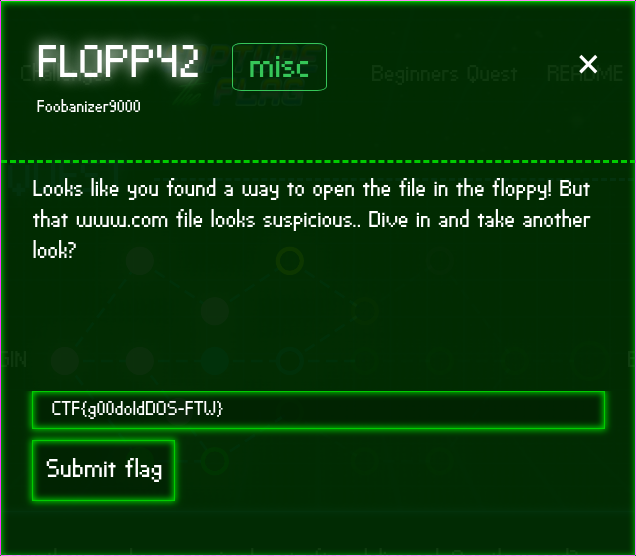 Looks like you found a way to open the file in the floppy! But that www.com file looks suspicious.. Dive in and take another look? For the first floppy CTF we find the www.com file but we didn’t use that. I think for this question we must use that. 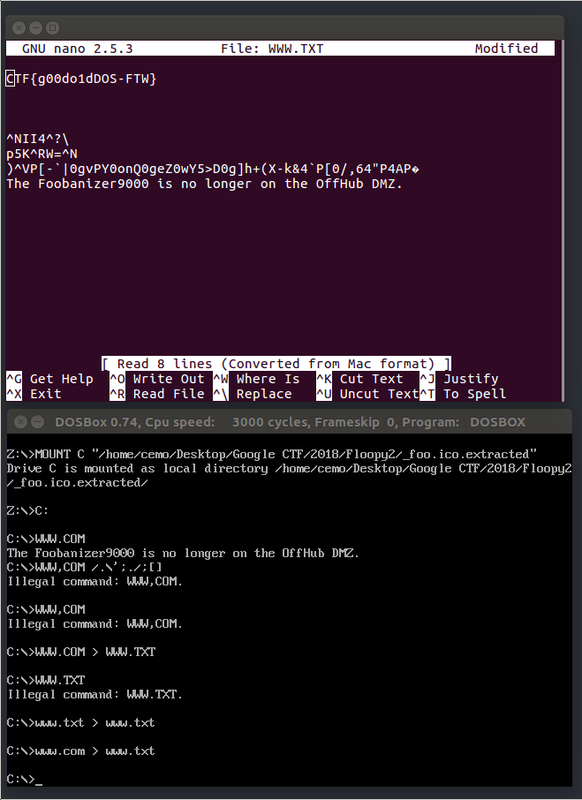 www.com is ASCII text with CR,LF line terminators. Therefore nano can’t open this text file. 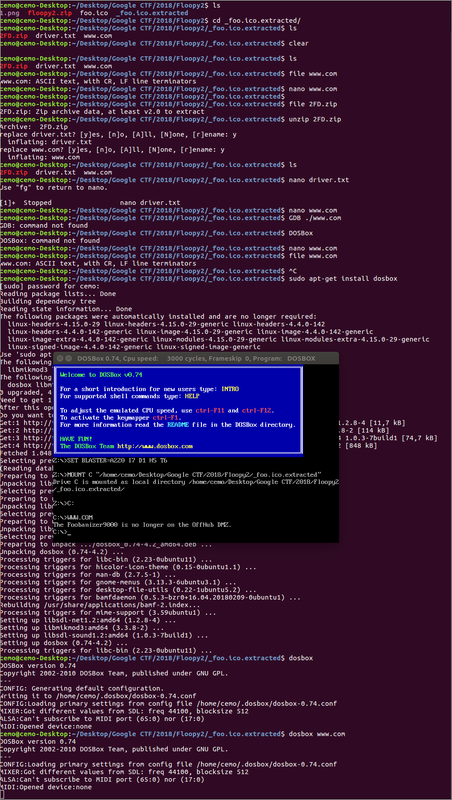 I try to ope in ATOM and bellow output return. I think www.com is www.COM which is common executable file format for DOS. It works. But some character doesn’t see so that we can use www.com > www.txt for decoding bellow characters.